A Europe-wide manufacturing company approached us to write a bespoke software system to manage their orders more efficiently and balance capacity across five locations, having been unable to achieve this goal both internally and with other IT consultancies. iStencil was our solution to this problem. We began by working closely with the client to produce a functional specification and define a precise scope for the project. A key requirement was to enforce some unity across the sites whilst handling quirks (where they had to remain) and yet maintain the ability to enable future functionality within the design. Over a five-month period we developed a centralised system combining a database, data file storage, automated links to other business systems and direct customer access. 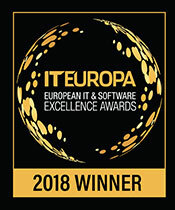 Being Europe-wide, the decision was taken to write the software as a web-based application which had a phased roll out, to maximise effectiveness and allow for user training to align with key business dates. Links to external sources – label printers, courier software, emails to customers and staff, etc. Allows grouping of orders into a single consignment where applicable. We significantly reduced BMAT’s lost teaching hours, by modernising the infrastructure and systems, to almost eliminate downtime, as well as helping to improve the learning environments which prepare students for the next stage in education or their careers. It’s been great to have Intersys’ expert team to rely on, we’ve made huge leaps forward and the entire school team feels reinvigorated and positive. Intersys helped me to grow and improve my own skills. The personal touch includes solutions which are tailored to the school’s requirements (not the other way around). It’s amazing how much we’ve achieved together.